Potential customers are always passing by looking for the items or services that you already offer. 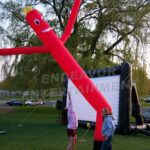 Let them know you are there by drawing their attention with one of our inflatable air dancers. Don’t have balloons to put on your mailbox to let people know where your child’s party is? Have one of our sky dancers grab their attention. Just think, no more last minute phone calls asking which one is your house. 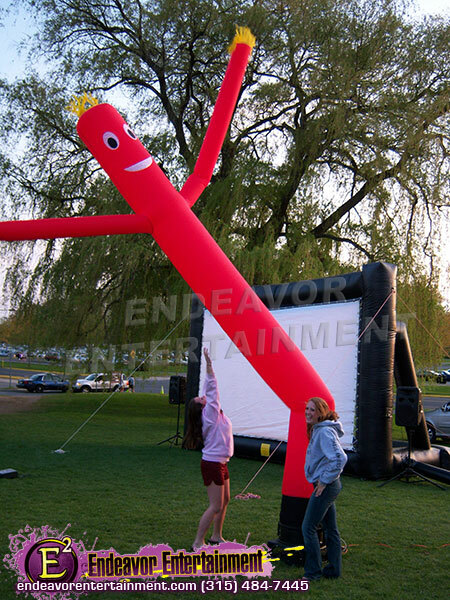 Our sky dancers require electricity within 25ft of performance area.